In Sacramento California we have noticed an increase in large posts or hoops being sported in ears about town. Often eye catching and visually expressive in design and style, this fashion is often referred to as gauging. Gauging is the process by which you enlarge the pierced ear opening by increasing the thickness of the post size that goes through the opening. There are gauging devices that allow the skin around the opening to stretch and thin as grow through expansion. Jewelry grade stainless steel loops or plugs are often seen in the ear lobe opening. These are heavy and non-porous and helpful in the expansion process. This is a similar process that is used to grow skin for other uses such as burn reconstruction, baby’s tummies, and breast reconstruction. In some cultures tissue expansion is used to grow the lip, neck, and ears as well. Culture style and beauty are often related. Once the ear lobe skin has been stretched it will respond by growing and making new skin. 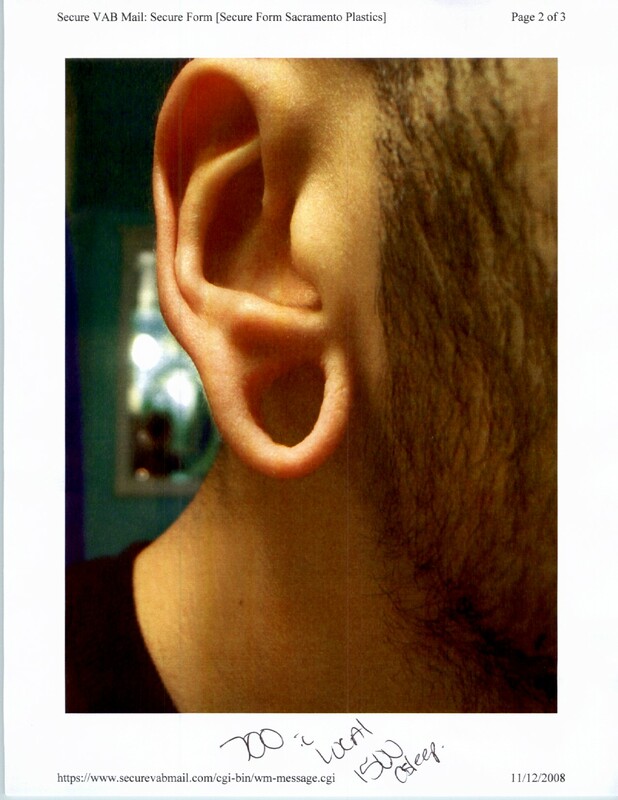 Once the ear lobe is at the desired size stylized wooden pegs or ornate plastic rings or plugs are often worn. These materials are lighter and do not continue the expansion or stretching process. It is often easier to gauge up than down. It seems unlikely that once the ear skin has grown that it would shrink or dissolve spontaneously after a certain point for some individuals. Once the skin of the ear has been altered it becomes a permanent condition. In many this is great as you don’t have to worry about the opening closing. If this is your ear or someone whom you know, the ear lobe can be closed or repaired. 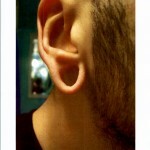 Gauged ears can be closed much like a torn ear lobe can be repaired. Through plastic surgery techniques the inside of the ear lobe skin is freshened and closed to opposing side. 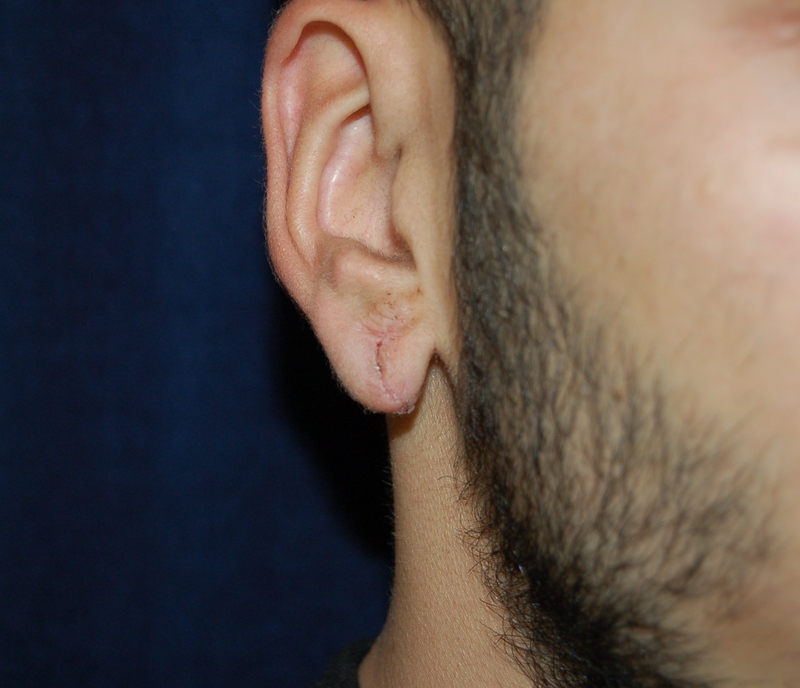 Often some excess skin is removed to keep the lobe looking normal and not droopy. Several stitches are required and a straight line scar is usually all that is left. The procedure is done in the office and requires about an hour to perform. 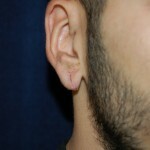 The ear pictured here is an example of one such procedure one week after repair. We are lucky to live in a culture that offers so many different styles and fashion ideals. Let us know if we can help.